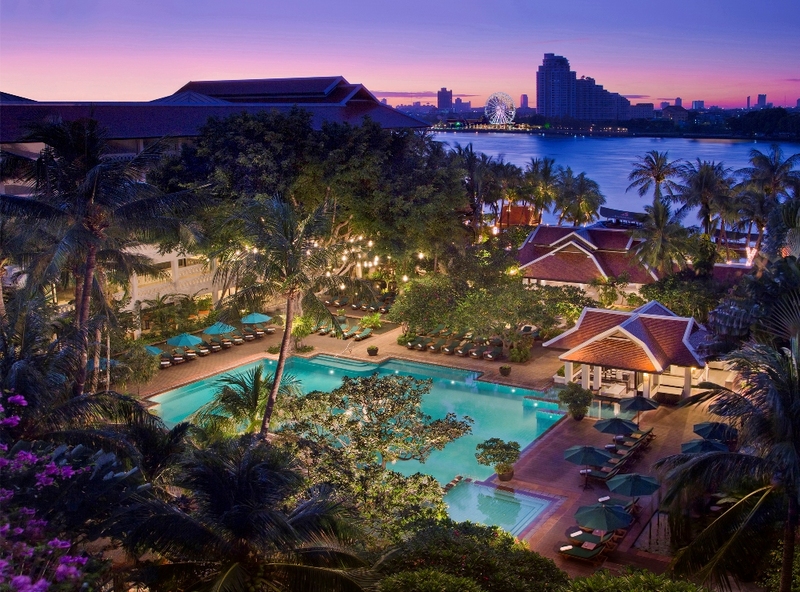 Set on the banks of the grand Chao Phraya River, Anantara Bangkok Riverside Resort & Spa is a thriving oasis offering a unique way to experience the City of Angels. Majestic palms swaying in the breeze. Spa treatments hidden within lush tropical gardens. Luxurious suites lit by the twinkle of the city skyline. Delectable meals fusing tastes from around the globe. Situated on 11 riverside acres of verdant gardens, Anantara Bangkok Riverside Resort & Spa seamlessly blends the thrill of urban living with the serene charms of tropical luxury. Imparted with Thai tradition and legendary Anantara service, this exotic Bangkok resort offers a respite from the hustle and bustle of the busy metropolis. Take in the sunset from the edge of the pier, watching as river life unfolds before your eyes. 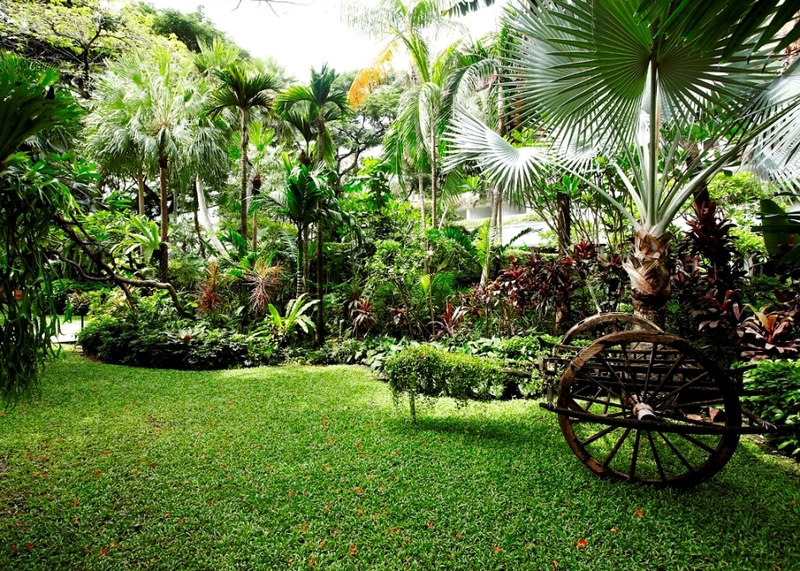 Indulge in pampering spa treatments set in the tranquil environment of your own private garden. Enjoy unforgettable meals at any of our 10 bars or restaurants, each offering individual delicacies. Discover a new entertainment and lifestyle complex at Asiatique nightmarket, Bangkok’ s latest landmark for shopping and nightlife. 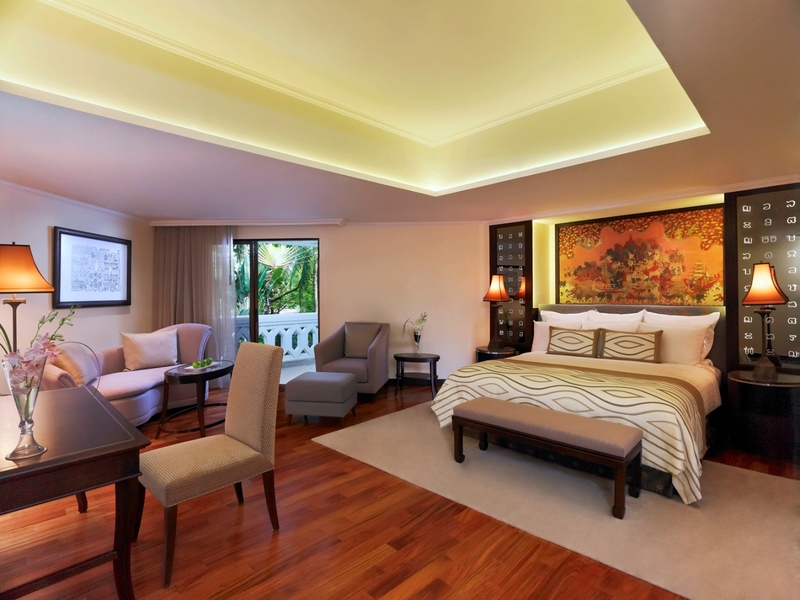 Embrace the unique harmony of luxury and nature within this stunning Bangkok resort & spa. 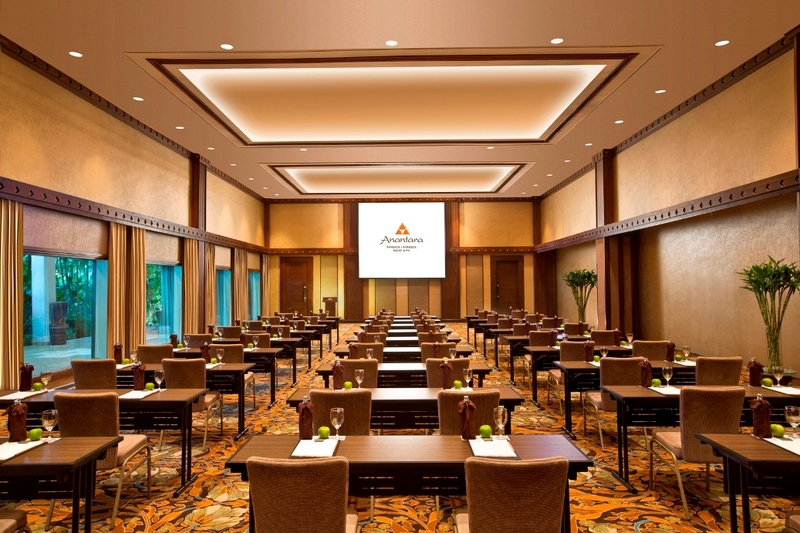 The luxury facilities and accommodation along with the unique tropical and urban environment make Anantara Riverside an ideal meeting hotel in Bangkok, for any business gathering, event or executive retreat. 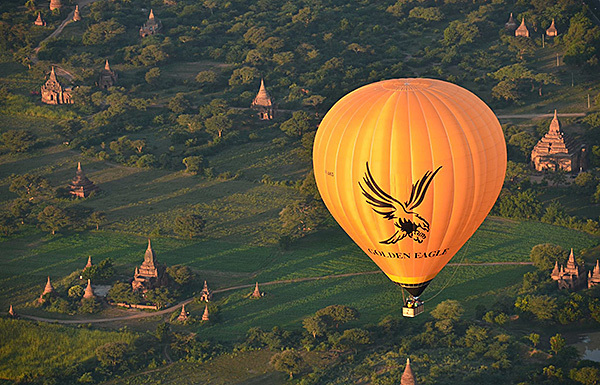 A bespoke and seamless meeting environment can be catered to you and your needs, suitable for intimate team gatherings or company-wide retreats for up to 800 people.